Description: Use a well-formatted and customizable workflow template to make your own one in a breeze. 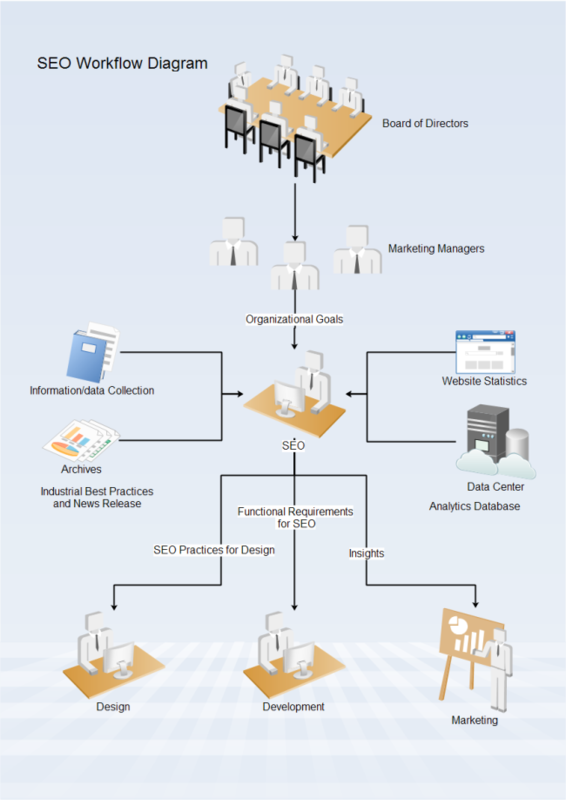 This SEO workflow diagram is provided to download and print for free. Created by Edraw Max - an all-in-one diagram solution, it can be exported into different formats enabling seamless integration with MS programs.